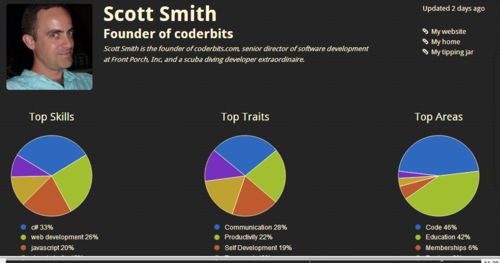 Coderbits is site that lets you share (and show off) what you know. By linking data from sites such as: Github, Codecademy, Dribbble, Coderwall, Forrst, you can have a complete and up-to-date profile of what you’re learning, what kind of time and energy you’re expending into your craft. Coderbits value proposition is extremely timely. A new crop of services are democratizing access to education and presentation of employment skills. Coursera lowered the bar to entry for America’s top institutions of higher education; and, Udacity unleashed class in cutting edge areas such as machine learning. Now Coderbits is doing the same for developers wishing to showcase their work with a broader audience. Coderbits profiles offer clear maps of the user’s knowledge, very much like how Mint.com offers clear maps of your financial situation. Jon has recently made a Coderbits account. He quickly jumps on his profile and starts updating his information. First, he links his Github. As well as being an avid code junky, Jon also fancies himself a pretty good designer. Jon simply links his Dribbble account handle to Coderbits, allowing him to easily share that as well. 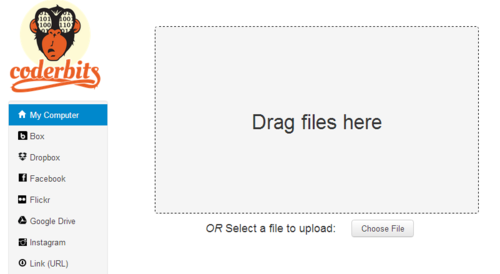 Using Filepicker.io on the Coderbits website, Jon uploads all his assets spread across his Dropbox, Google Drive, Github accounts. This, in combination with Coderbits, allows Jon to be able to profile his work in the most thorough way possible. All this together in one succinct package, Jon sends a profile link to his future employer. An emphasis on craft, showing what you know, is becoming more and more prevalent. 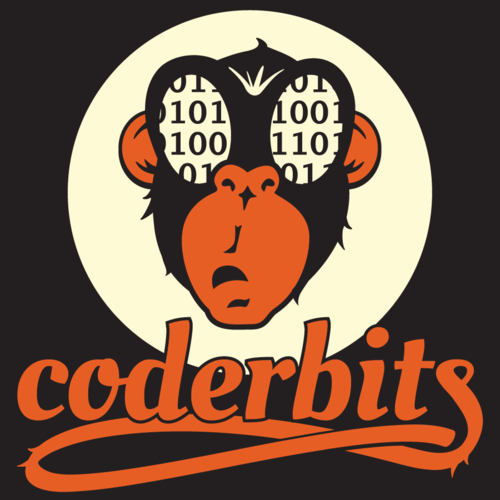 Coderbits could very well be at the forefront of this movement.